The Anglican Diocese of Christchurch is an exciting place to be! We have hundreds of churches throughout the wider Canterbury and Westland regions where you can find Christian teaching, worship and loving Christian community. We also offer many ministries, community programmes and social services. Please take a look at the ‘Find a church‘ and ‘Within our diocese’ sections of our website to see what is available in your area. The Anglican Diocese of Christchurch is a regional jurisdiction within the Anglican Church in Aotearoa, New Zealand and Polynesia. Young Leaders: Raise up; encourage; educate; appoint and enable young people as leaders in our Diocese. Christ-Centred Mission: Christ is both our centre and the One we serve. We become Christ-like by furthering the Kingdom and further the Kingdom by becoming Christ-like. Faithful Stewardship: Of the Christian faith; environment; Diocesan properties and finances; time; talent and our heritage. Stewardship of the Christian faith includes how we offer theological education. Our Diocese serves the central portion of the South Island which includes the Canterbury and Westland regions along with the Chatham Islands. ‘The Anglican Diocese of Christchurch’ is the ministry body of the Diocese which encompasses the parishes, ministry programmes and services, clergy and ministry staff. 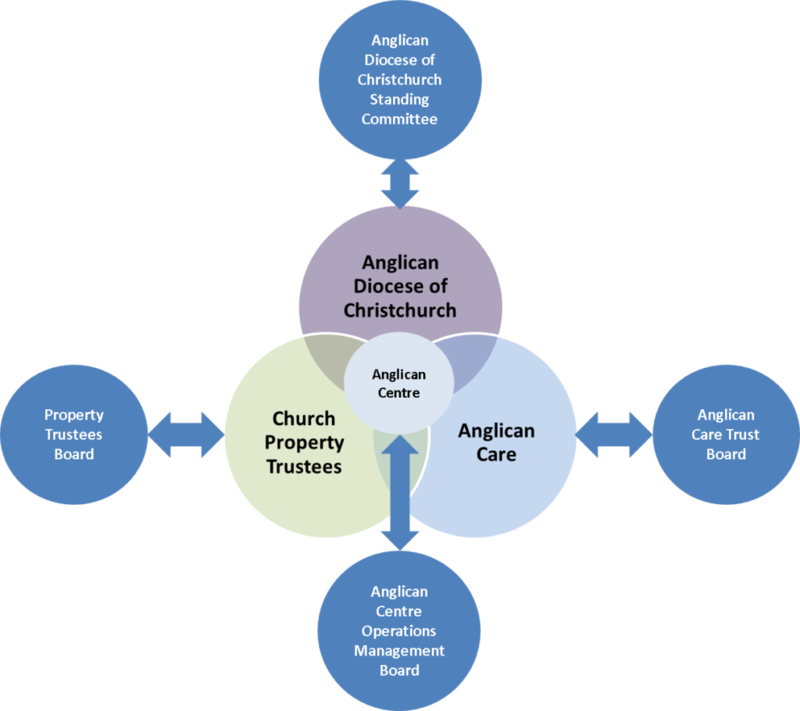 Anglican Care is the social services and social justice body of the Diocese that oversees five main divisions: Anglican Living, City Mission, Anglican Advocacy, Anglican Community Development and Anglican Care South Canterbury. The Church Property Trustees own and manage all of the property and investments of the Diocese. Each body is governed by an independent board. The ‘Anglican Centre’ is a partnership between these bodies which supplies administrative and operational support services such as accounting, human resources, health and safety and communications to each body. Together, these entities work to serve the spiritual and practical needs of the people of Canterbury, Westland and the Chatham Islands.